Our purpose is to co-create abundance for our members in food, medicine, materials, economy and living water. 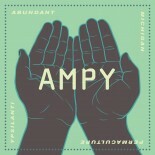 We support Abundance in all Michigan Communities. As permaculture is whole-systems design protocol, an operating system for human decision making, and a synthesis of knowledge both old and new, as such, we often find ourselves without a language to express our intentions, our actions, and our patterns of thought. A Pattern Language then, is a shared motive, a leitmotif, a shorthand for communities within the broad array of sustainable and ecologically-sound technologies. We can use a similar Pattern Language to communitcate with each other, our neighbhors, and our elected officials and can provide a context for problem solving through permaculture. We at AMPY operate on two essentially different scales, the City and the Farm. City can include townships, villages, communities, suburban neighborhoods, etc. Whereas, Farm can include farmland, wetlands, wildlands, etc.